Today's So Shoe Me is the Glow-in-the-Dark Darling Pump by Jeffrey Campbell, $130, available at Akira. Light up the night in these glossy glowing heels by Jeffrey Campbell. This classic pointed toe silhouette will get you glowing with a rave ready light reactive finish that will pump up your party attire. The muted lime green upper adds a pop of color during the day but adds a bright neon green glow at night so all eyes will be stuck to your soles. Pair these night light heels with a smiley sequined bustier, holographic moto and a white vinyl skirt for a cool club kid style. 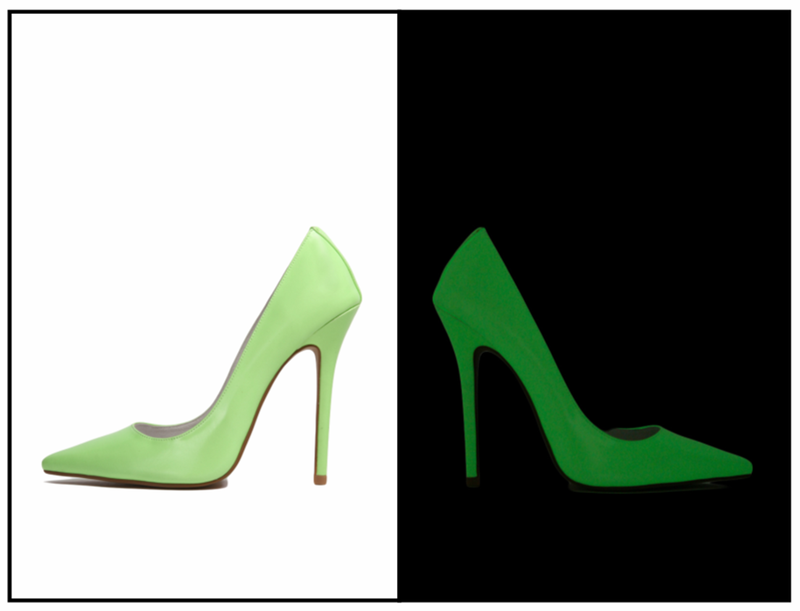 So Shoe Me a pair of glossy glowing stilettos that will add a luxe light-up detail to my favorite nighttime separates.